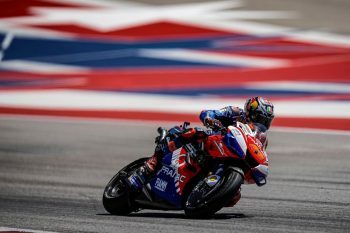 Jack Miller has declared there’s ‘more to come’ after earning a breakthrough podium during round three of the 2019 MotoGP World Championship at Circuit of the Americas on Sunday. 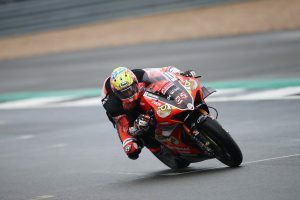 Miller’s third place at the Texas venue ends a three-year podium drought in the premier class, his last coming at Assen in 2016 when he heroically scored a maiden victory in rain-soaked conditions. The Pramac Racing ace was the fastest Ducati contender all weekend, starting from P4 on the grid to later benefit from crashes experienced by Cal Crutchlow (LCR Honda Castrol) and pole-sitter Marc Marquez (Repsol Honda) to round out the podium in third. “It’s such a good feeling to stand up there on the podium after the weekend we’ve had here in Austin, and after the speed we showed the whole way through,” Miller explained in his Red Bull column. “I’m over the moon with that. Right from Friday I was inside the top four and fastest of the Ducati guys, and it was a bit like Argentina last time when I was up there all weekend but just missed the podium. “It’s a relief in some ways to get up there again, it had been so long since Assen in 2016, but for most of that time I didn’t really have the bike to fight for the top three. Right from pre-season testing this year I knew that I did, and then you have something happen like in Qatar when the seat breaks loose and you know you can do the pace of the guys at the front, and you wonder if that’s your chance gone. “Argentina was solid and then this weekend was better, but it’s still nice to confirm that you can do it. It’s a reward for the all the hard work, both for me at the team. There’s more to come from us I think, I don’t see this as being a one-off and it won’t hopefully be three years between podiums like it was last time. The Australian now sits sixth in the championship standings as MotoGP heads to Jerez in Spain on 5 May.